A search for a shooting suspect is underway after police said a man was shot outside the Preble Street Shelter late Tuesday night. PORTLAND, Maine — Portland police are searching for a man suspected of shooting an acquaintance on Preble Street Tuesday night. The victim, a 39-year-old local man, suffered life-threatening injuries but had emergency surgery at Maine Medical Center and is expected to survive, according to a news release. Police didn’t release the victim’s name. Police said the suspect and victim had a dispute on the street around 10 p.m. Tuesday, which led to the shooting. The suspect is about 6 feet tall, weighs around 200 pounds and has shoulder-length brown hair. He was wearing a dark hooded jacket and cargo pants and ran west onto Cumberland Avenue after the shooting. “This is believed to be an isolated incident, the initial investigation suggests the two men are acquainted with one another and this is not a random act, we do not believe there is any danger to the public,” the release states. 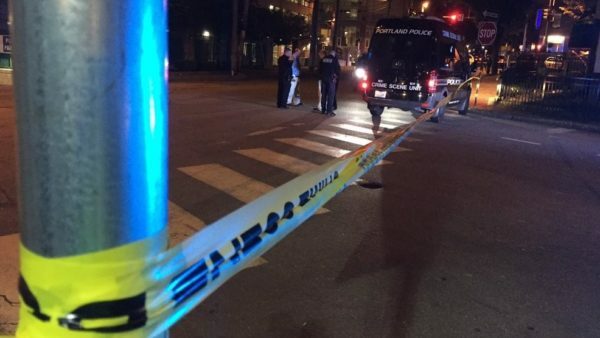 Anyone with information related to the shooting or the suspect should call Portland Police Department at 207-874-8475.